What is Sanford Harmony? Imagine a classroom where students are empowered to: communicate, cooperate, connect, embrace diversity, and resolve conflict. 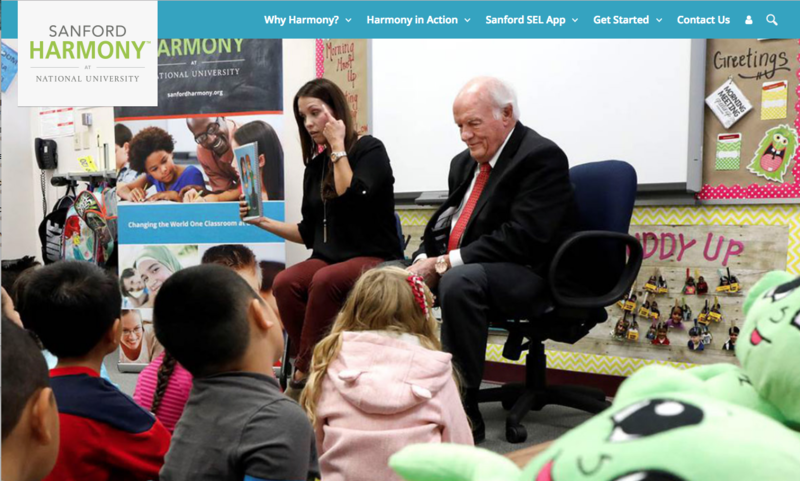 Welcome to Sanford Harmony—a social-emotional teaching program that cultivates strong classroom relationships between all students. Please explore all that Sanford Harmony has to offer, and spend less time managing troublesome behavior, and more time teaching! 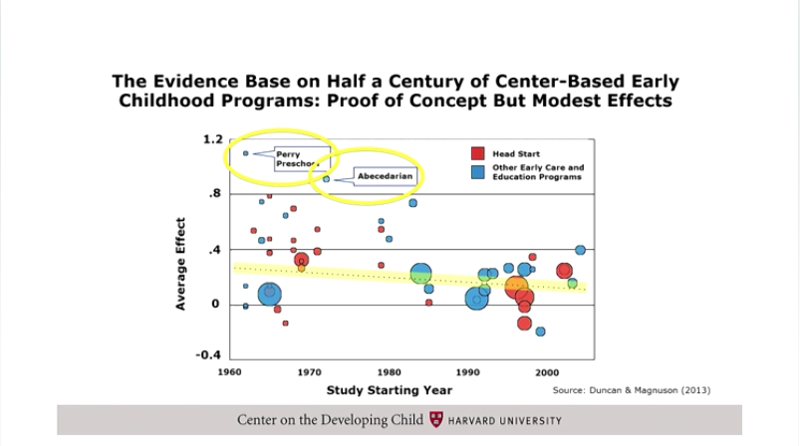 Understanding both the biology of adversity and the science of early learning is essential for building a strong foundation for reducing disparities in educational achievement. The benefits of evidence-based curricula in the early childhood years cannot be fully achieved without effective strategies for preventing the consequences of toxic stress. 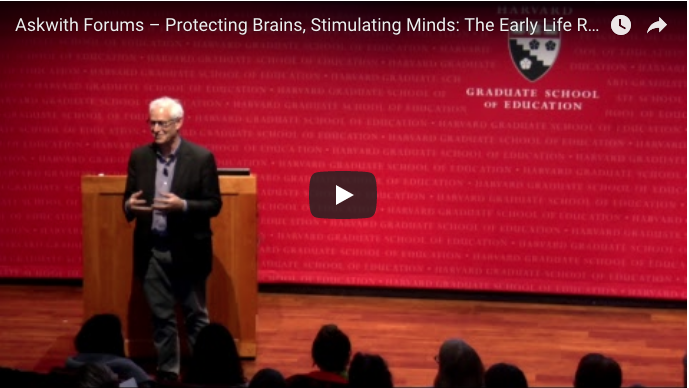 Center Director Jack Shonkoff speaks at Harvard Graduate School of Education’s Askwith Forum, a series of public lectures featuring a wide range of topics, including early childhood, civic and moral engagement, and educating for human rights among others. "We desperately need fresh thinking and new ideas in the early childhood space and that's the context for my remarks this evening.... We need to set our sights much higher about dramatically doing something about leveling the playing field for ALL children very early in life before they set foot in school." "... I'm going to start with the War on Poverty and the great society progress of the 1960s not because it's particularly more important than any other time but it was the origin of what are really the beginnings of a lot of the policies and programs that we still have today. So the point is we have 50 years of lessons learned from policies and programs and it's time to take stock and say, "What have we learned, what do we know, and where to go next." "Head Start began in the summer of 1965.... That program is still very much with us today.... Community Action Programs were formed at that time.... Clearly the glass is far from full.... We haven't solved this problem." and where teachers can get free books! 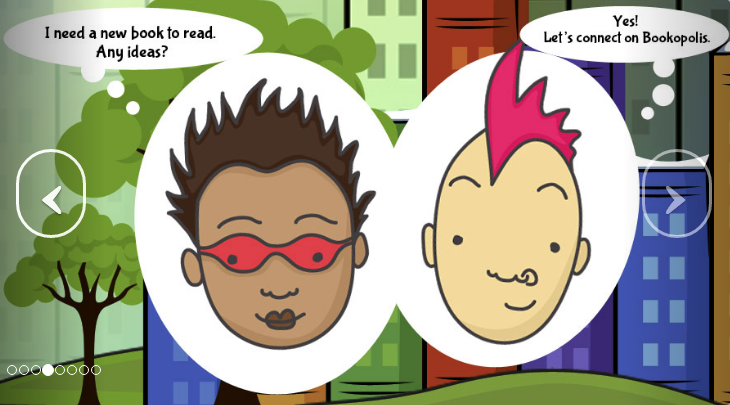 Bookopolis uses research driven methods to ignite a love of reading. 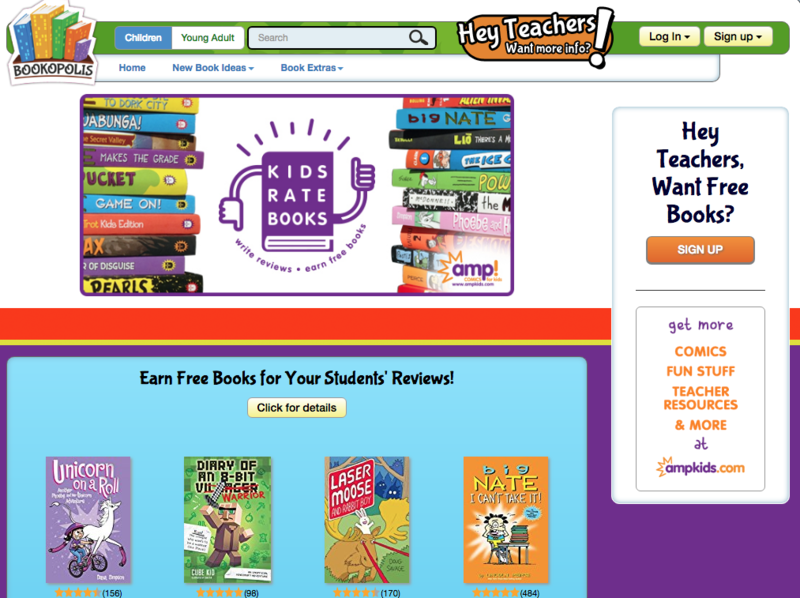 Bookopolis is a fun, free tool that teachers can use to get students excited about reading by letting them connect with friends to share book reviews and discover new books. While our main goal with Bookopolis is to ignite a lifelong love of reading, the features and activities on our site are also nicely aligned to several CCSS Reading and Writing standards for students in Grades 2nd-7th. Practice opinion or persuasive writing by posting book reviews. After being moderated, these reviews can be viewed by other Bookopolis students which often leads to higher quality written work when students know they are writing for an authentic audience of their peers. DANIEL J. SIEGEL, M.D., & TINA PAYNE BRYSON, PH.D., for Brightly. Our new book The Yes Brain opens with the above quote as its epigraph. The Alcott line is a great way to think about the job we have as parents as we seek to empower our children to sail their ships through whatever storms they face. We can give our kids experiences that help produce either a “Yes Brain” mindset that allows them to be receptive, open, curious, and creative in the face of life’s problems, or a “No Brain” mindset that leaves them reactive, shut down, rigid, and fragile. What, specifically, do they need in order to captain their individual ships in a Yes Brain way that leads to happiness and fulfillment? What characteristics, in other words, should parents emphasize the most? As we travel the world speaking about our books The Whole-Brain Child and No-Drama Discipline, we hear some form of that question all the time. The Yes Brain is our response. We focus on what we call the four Yes Brain fundamentals: balance, resilience, insight, and empathy. These are the qualities we all need to be successful in life, and if we can promote them in our children, they’ll be well on their way to approaching life from a Yes Brain perspective. And a great way to promote a Yes Brain in your kids is by reading with them. Each Yes Brain fundamental emerges directly and spontaneously when you dive together into the pages of a book. Here are some quick suggestions to help you be intentional about highlighting the Yes Brain fundamentals. How well do you think the character handled those big feelings? What could the character have done differently? What do you do when you have big feelings like that? What calms you down the most when you have that big feeling? When the character faced that conflict, how did they handle it? Did you see how even though things were difficult/sad, it didn’t stay that way and things got better? What makes you strong when things are hard? What’s something difficult you went through that made you stronger/smarter/kinder? How does the character feel? What are they afraid of? What are they excited about? What does the character expect will happen? What does the character wish would happen? No matter what book you pick up, reading together can help you raise kids with resilient minds and connected brains. Just the act of physical closeness that occurs when we pull our children close and join together to share the moments that unfold as we read together — laughing, looking at the same pictures, talking about what we wonder about, and sharing the joy that comes from wonderful books — helps create a Yes Brain. Watch Dr. Daniel J. Siegel discuss the differences between a reactive state and a receptive state, or a Yes Brain state, in this video. 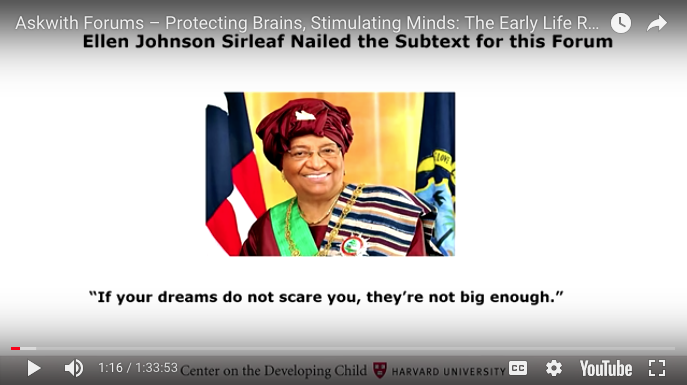 Want to learn more about raising children with resilient minds and connected brains? Check out The Yes Brain, The Whole-Brain Child, and No-Drama Discipline by Daniel J. Siegel, M.D., and Tina Payne Bryson, Ph.D.
With imagination and power, the award-winning Pinkney duo celebrates MLK's nonviolent struggle for civil rights -- as he transforms America through the spirit of love. Andrea's stunning poetic requiem, illustrated with Brian's lyrical and colorful artwork, brings a fresh perspective to Martin Luther King, the Gandhi-like, peace-loving activist whose dream of equality -- and whose courage to make it happen -- changed the course of American history. And even in his death, he continues to transform and inspire all of us who share his dream. 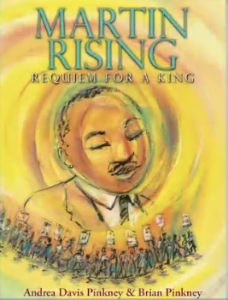 Wonderful classroom plays of Martin Rising can be performed by using the "Now Is the Time" history and the 1968 timeline at the back of the book as narration -- and adding selected poems to tell the story! Click here to watch the video of Andrea Davis Pinkney & Brian Pinkney, author and illustrator, hear their story of the book, see illustrations. 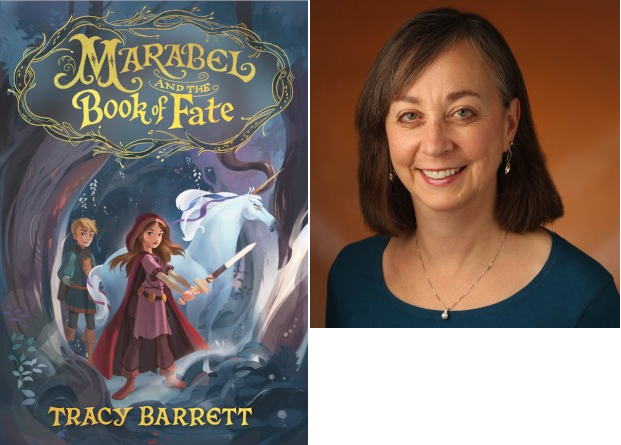 Tracy Barrett discusses ‘Marabel and the Book of Fate,’ a series opener that both uses and subverts fairy-tale stereotypes and conventions as a princess sets out to rescue her “Chosen One” twin brother. A debut manual addresses many problems in parenting with a dash of fun and plenty of advice. “He started it.” “Can you read one more story?” “I’ll do it later.” From early toddlerhood on, it seems to many a harried parent that the child-rearing path is littered with a litany of endless complaints followed by seat-of-the-pants deal-making. Tired moms and dads just might give in to expert cajoling from young ones or, worse, bribe them for more desirable outcomes. As Shiller (Child Study Center/Yale Univ.) shows in her book, there’s a savvier method of approaching standard-issue parenting troubles: the rewards plan. 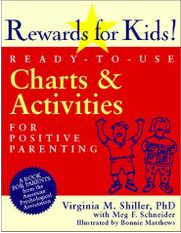 While many readers may have seen a generalized version of “sticker charts,” Shiller, ably assisted by Schneider, delves deeply into the subject, first by assuring the worried parent that a rewards plan is not a bribe and that kids who follow such strategies do not grow up expecting prizes for every task when they get older. The volume, with illustrations by Matthews, discusses various probable situations in detail and with good humor. What if daily hygiene is a battle? A kid who loves gymnastics could earn stickers toward lessons, for example. To encourage a child to follow bedtime rules, his mother could offer a trip to an amusement park if he earns 55 check marks on the Keeping Track charts in the next month. The key is to bargain during downtime and not when everyone’s nerves are frayed (“Wait for a calm moment. Don’t offer a reward while the hysteria is in full flower”). Although Shiller encourages dialogue, she points out that there are ways to make sure that kids don’t ask for Nintendo systems every week they make their beds. How? Negotiate. Parents of older children should especially appreciate how the same system can be used for their situations—say, when sleepovers become difficult to execute. The book includes a variety of pullout charts (Zoo, Treasure Hunt, Dinosaur Land) that can be colored in right away and examples of stickers to use when a kid slips up and makes a mistake. A cleareyed and informative look at the trials of parenting, this readable book presents one solution customized for a bevy of situations, providing a template to tackle practically every challenge through this new lens. An engaging guide that offers a valuable rewards solution for frazzled moms and dads. Children learning to read books respond well to adult guidance, patience and understanding. 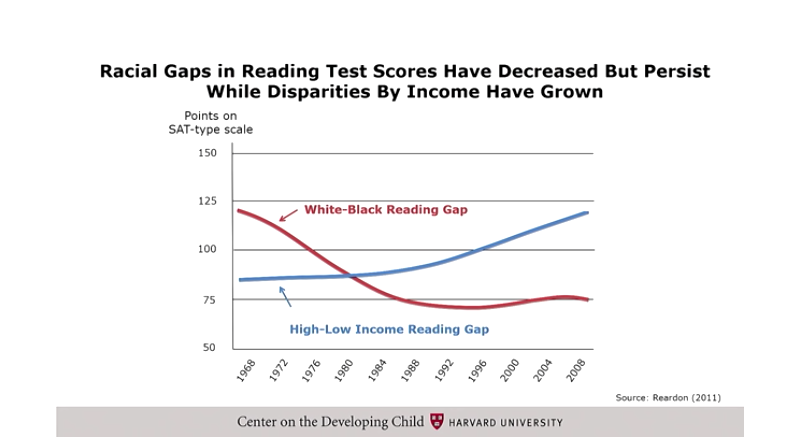 In return, adults typically expect children to daily hard work on learning to read. However, daily willingness put forth by kids toward learning to read is a bigger and wider determiner of success than can be matched by professionals and well-meaning families. 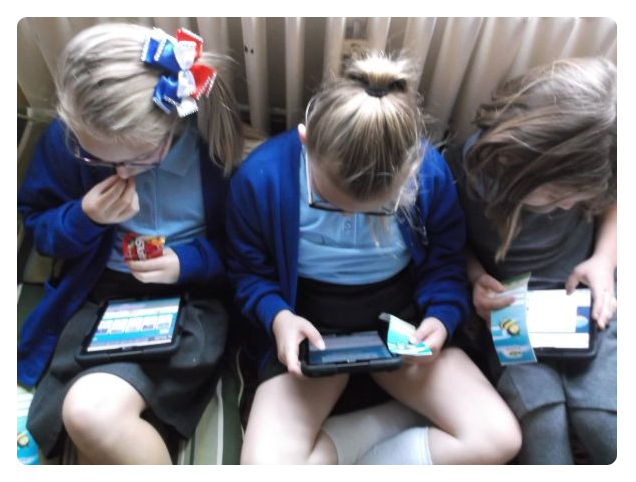 Early on, children must feel encouraged by adults to select to read books they find interesting so they in turn choose every day to read books for their own enjoyment. This encouragement may require significant participation by a child’s family that knows the child and their interests better than their teachers can. The materials teachers use and the books we choose to offer to children are certainly likely to match the home culture and language of many of our students, but for other children “book English” is far from the familiar language of their home. For a subset of children, the word choice, sentence structure and cultural conventions in their homes will diverge from that presented in school books written for the average child. 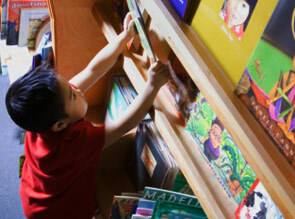 If collaborating teachers and parents can connect each child with books that are solid matches to their home lives, languages and aspirations, then there is a higher likelihood they will recognize the personal benefits to be derived from choosing to read. Otherwise, for kids who are required to read books with content irrelevant to their lives, there is much more work to be done than for their classmates whose lives and language experiences more completely parallel that found in their books. Thus, school and home collaboration in book choices is an irreplaceable asset in helping children learn to read. Another dilemma faced by teachers and parents alike is that young readers often want to read the same kinds of books over and over. But don’t worry! With adult support and patience, at some point kids will want to read something new—a book that a friend has liked or even one that an adult has suggested. And eventually, with well-earned confidence, they’ll begin to identify and read books that are a little challenging without being intimidating, building a path to continuing growth. Then it’s time to celebrate. Lifelong reading and learning begin. Books mentioned in the December 2016 issue of What Makes a Good…?